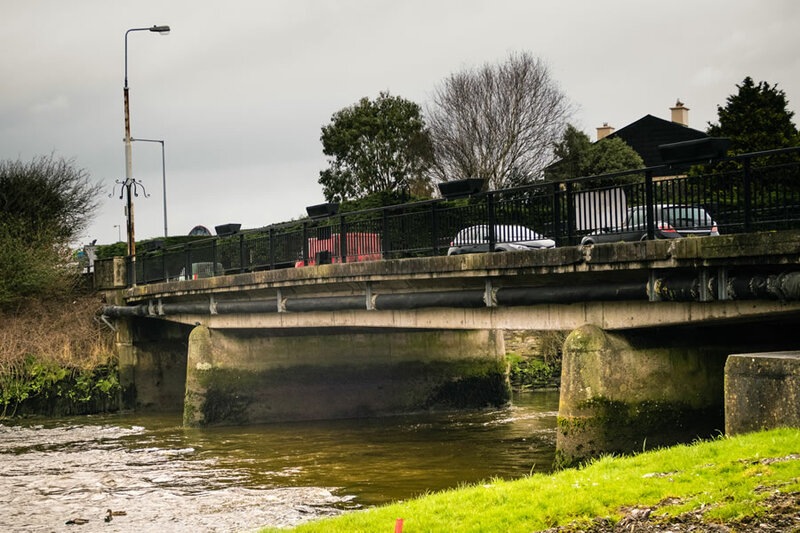 Skibbereen (population c. 2,000) is a vibrant market town serving a large hinterland. The town as we now know it owes its origins to a raid of Algerian Pirates on nearby Baltimore in 1631, when 100 people were taken as ‘white slaves’. A small number of survivors rowed up the river Ilen to establish the town where it is today. 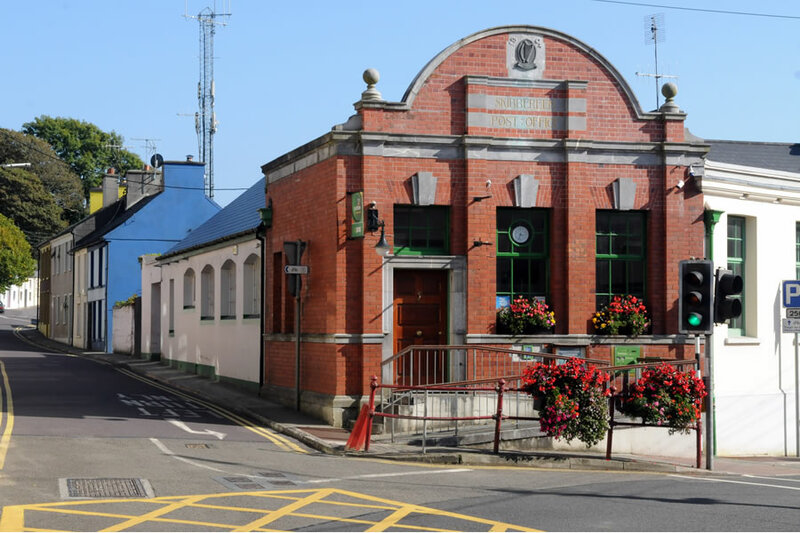 Skibbereen developed into a thriving market town, trading in linen, wool and agricultural products. However, it was devastated by the Great Famine of the 1840s. One million people died and at least another million and a half emigrated during this appalling period of Irish history. 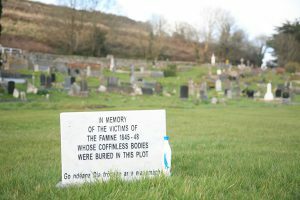 As one of the worst-affected areas in all of Ireland, Skibbereen is synonymous with this tragic time. Many of the buildings in the town have direct links to the Famine and there are numerous stories associated with each of these sites. Even today, the horror of this terrible time is palpable at these locations. The infamous Famine Burial Pits at Abbeystrowry hold the remains of up to 10,000 unidentified victims. 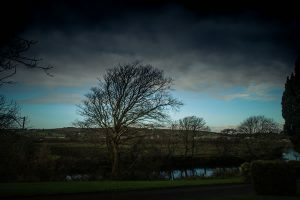 Skibbereen: The Famine Story exhibition, book, app and walking trail gives an insight into this pivotal period in Irish history through the experiences of local people and tells the stories of the sites in the town where the events took place. Skibbereen is also said to be the ‘Cradle of Fenianism’. 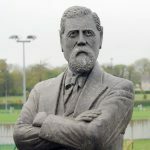 The famous Irish revolutionary Jeremiah O’Donovan Rossa became politically active in Skibbereen just after the Famine. He went on to become one of the leading members of the Fenian movement. O’Donovan Rossa is commemorated in Skibbereen at O’Donovan Rossa Park, just outside the town. The local GAA club is also named in his honour. By the early 1800s Skibbereen was an important regional town. In June 1843 Daniel O’Connell held one of his monster Repeal meetings in Skibbereen.Contemporary newspaper reports claimed that up to 50,000 attended Daniel O’Connell’s Repeal meeting which was held on Curragh Hill, just outside the town. Science was also to the fore in 19th century Skibbereen. 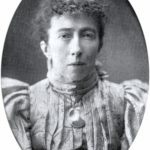 The celebrated astronomer, Agnes Mary Clerke, was born in Skibbereen in 1842. The ‘Clerke Crater’ on the moon is named in her honour. Another Skibbereen native, Percy Ludgate, designed the ‘analytical engine’, which is regarded as the first portable computer. Two newspapers were established in Skibbereen in the 19th century. One of them, the ‘Southern Star’, still has its offices in the town. The second newspaper, the now-defunct ‘Skibbereen Eagle’, is remembered for ‘keeping its eye on the Tsar of Russia’. Skibbereen was the Seat of the Catholic Bishop for the Diocese of Ross between 1851 and 1953. The Cathedral in North Street is still the most imposing building in the town. 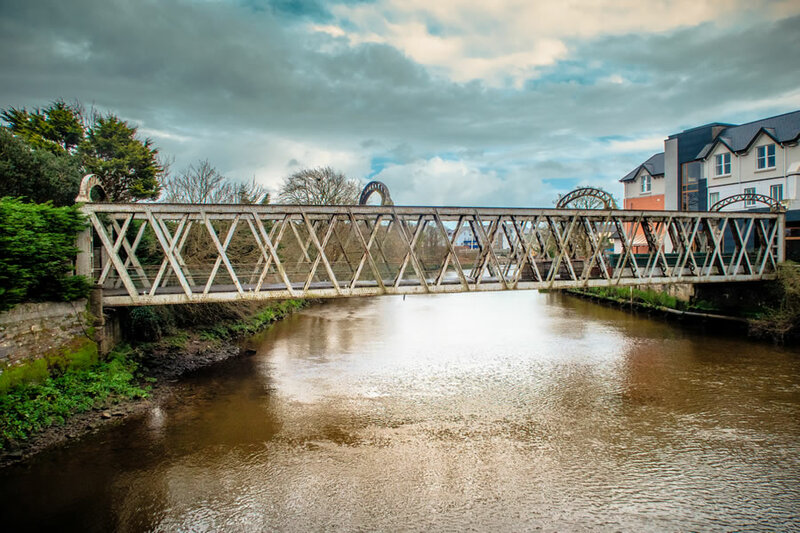 The town evolved to become a hub of industry and it was a thriving market town throughout the 20th century, as it still is today. 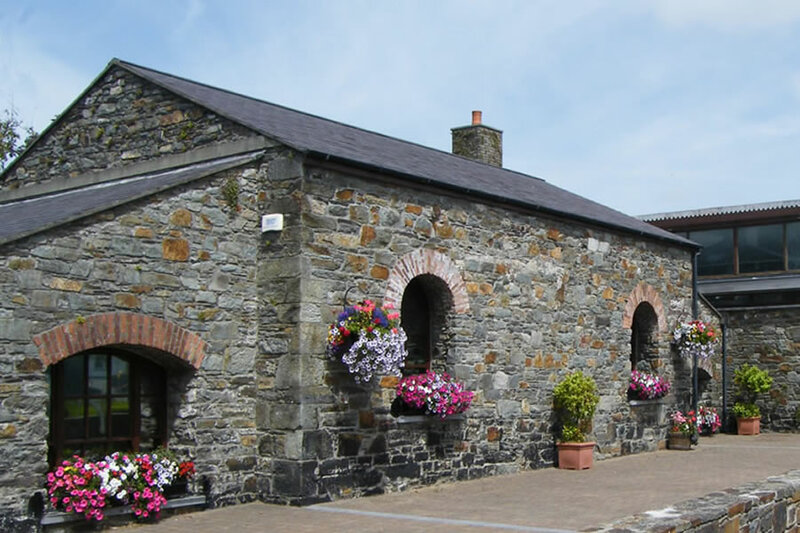 Skibbereen is the most significant town in Ireland in terms of its Famine heritage and it has an important role in commemorating this pivotal period. Every street in the town has its own story and the people of Skibbereen are extremely proud of its unique heritage told though Skibbereen: The Famine Story. 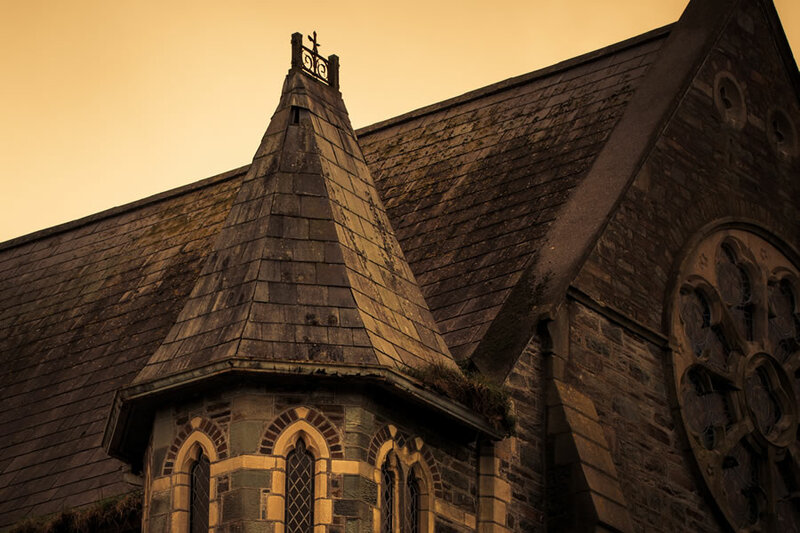 The first Sisters of Mercy arrived in the newly-built convent in Skibbereen in May 1860. The Convent Chapel was added in 1867 and dedicated in 1868. 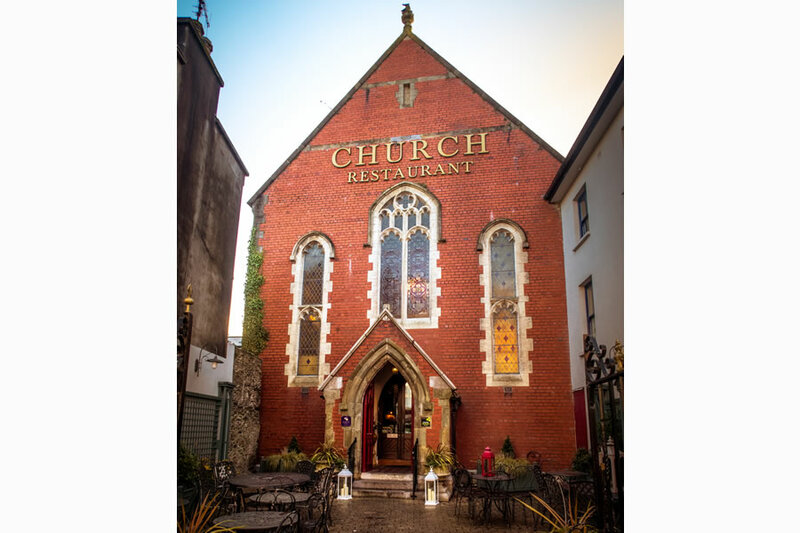 The chapel was designed in the French Gothic style by renowned architects E.W. Pugin and G.C. Ashlin. 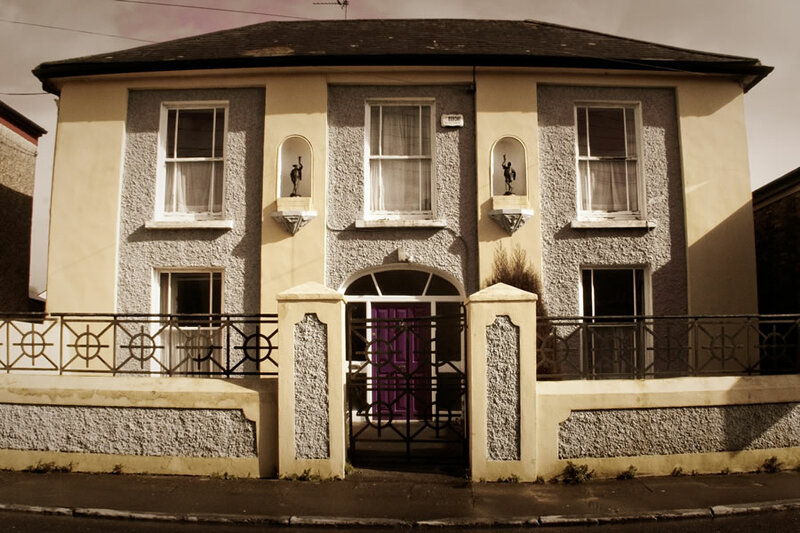 The Sisters of Mercy served the community in Skibbereen for 144 years until their departure in 2004. 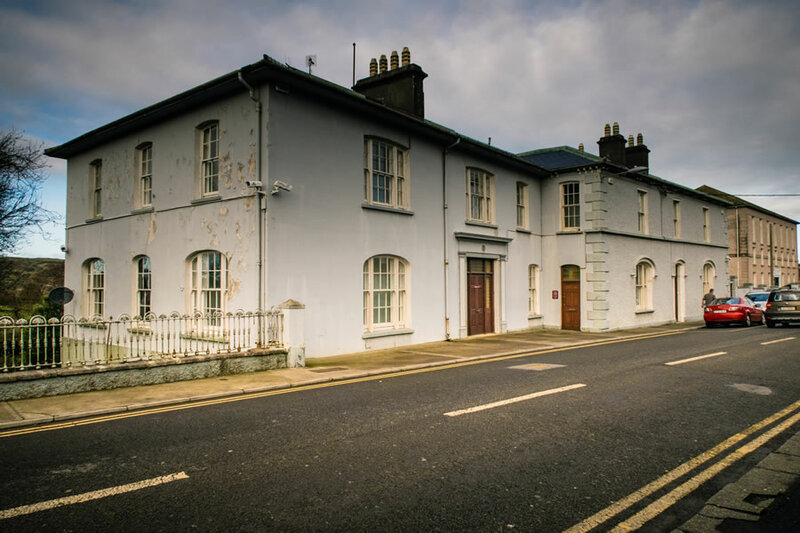 Skibbereen was the seat of the Diocese of Ross from 1851-1953 and this building – now the Parochial House – was the Bishop's Palace. This house, originally known as Prospect House, was bequeathed to the church by Timothy McCarthy Downing, a very prominent solicitor and one-time MP. 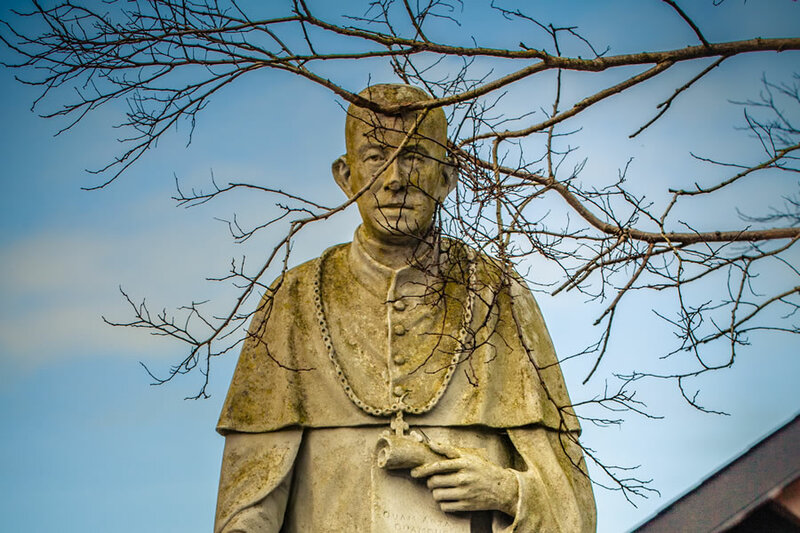 This statue is dedicated to the memory of Dr Denis Kelly, Bishop of Ross from 1897 to 1924. One of the leading prelates in the country at the time, Dr Kelly was a great advocate of technical education. The first Technical School in Cork county, The Bishop Kelly Memorial Technical Institute, opened here in 1926. The iconic Victorian era Penfold Pillar Box regularly features on nostalgic Christmas cards. Dating from c. 1870, this hexagonal Penfold in North Street is in excellent condition and is one of only about six such post boxes still in operation in Ireland. 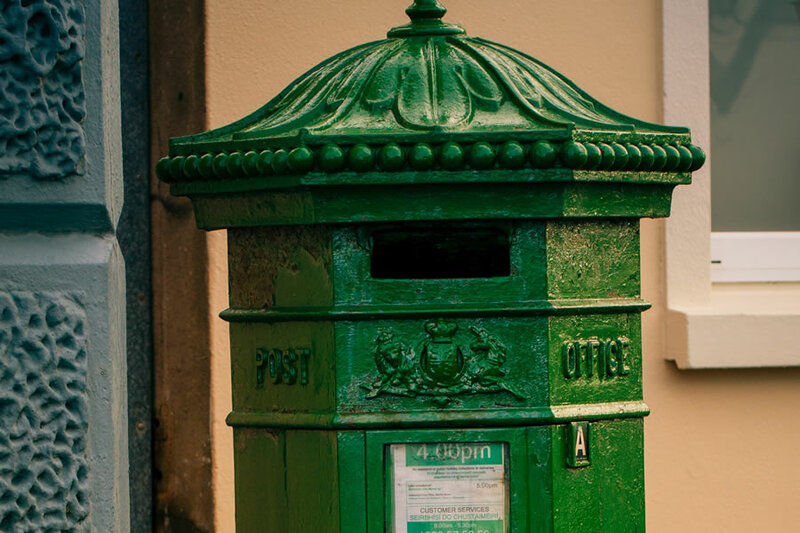 Before Irish independence post boxes were red but in 1922, the Postmaster General of the Irish Free State decreed that all post boxes were to be painted green. 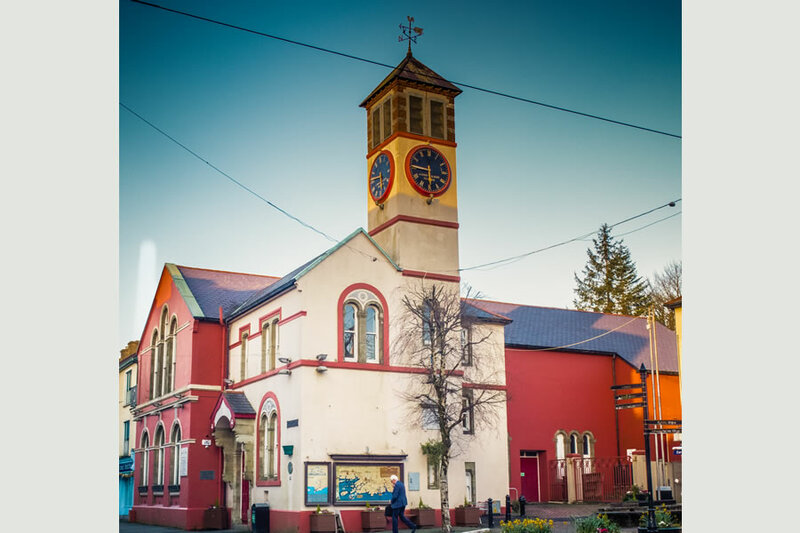 The Town Hall, a 'Market House' since 1801, was once the municipal and cultural centre of Skibbereen. The Town Clock was presented by local landlord The O’Donovan in 1878. On the night of August 13 1955 the old Town Hall was burned to the ground. The new Town Hall was opened on February 2 1960. 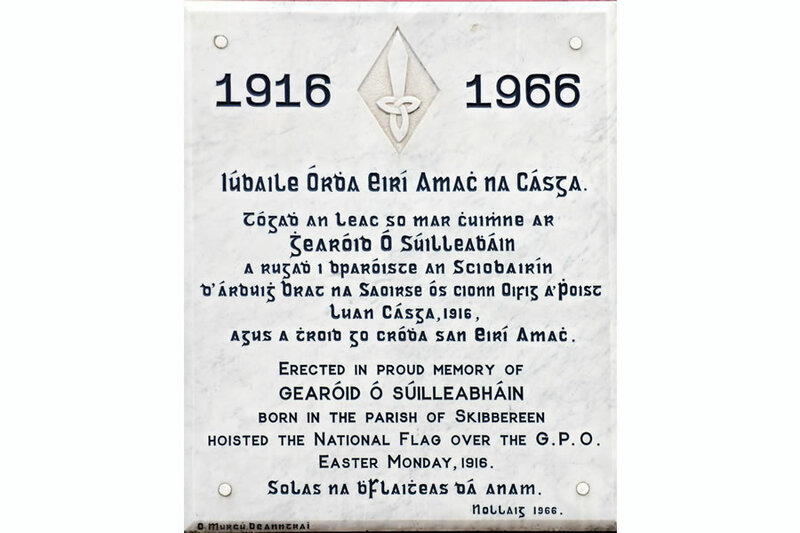 Plaque to Gearoid O’Sullivan, a Skibbereen native who took part in the Easter 1916 Rising and raised the Tricolour (Irish flag) over the GPO. Gearoid was a very close associate of Michael Collins and was the first Adjutant General of the Free State Army. He was elected to Dáil Éireann on six occasions. 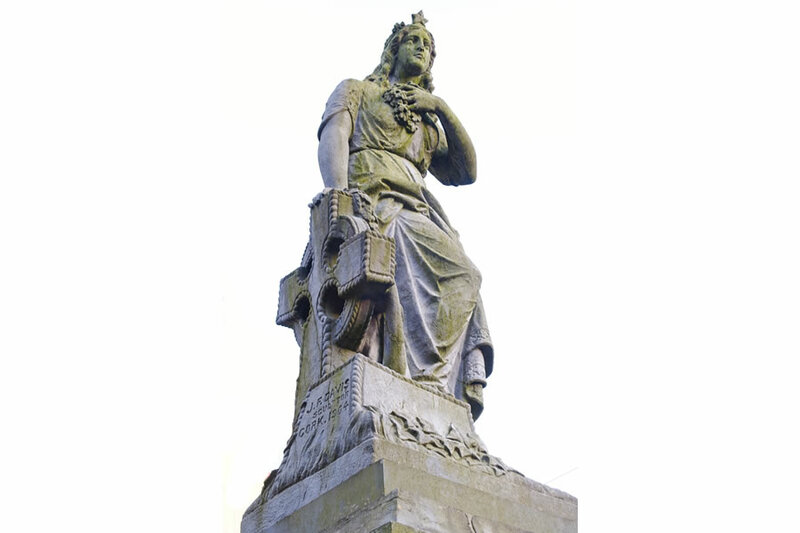 The Maid of Erin statue was erected by the Skibbereen branch of the Young Ireland Society and was unveiled by the renowned Irish revolutionary Jeremiah O’Donovan Rossa in 1904. The statue, which is of Irish limestone, was sculpted by Mr John Francis Davis of Cork of Cork. Immediately below on the pedestal are the years of the different National movements – 1798, 1803, 1848 and 1867. Originally situated in the middle of the Square, the ‘Maid’ was moved to its present location in 1988. The Post Office was built in 1904 using red brick, a material not commonly used in this area. 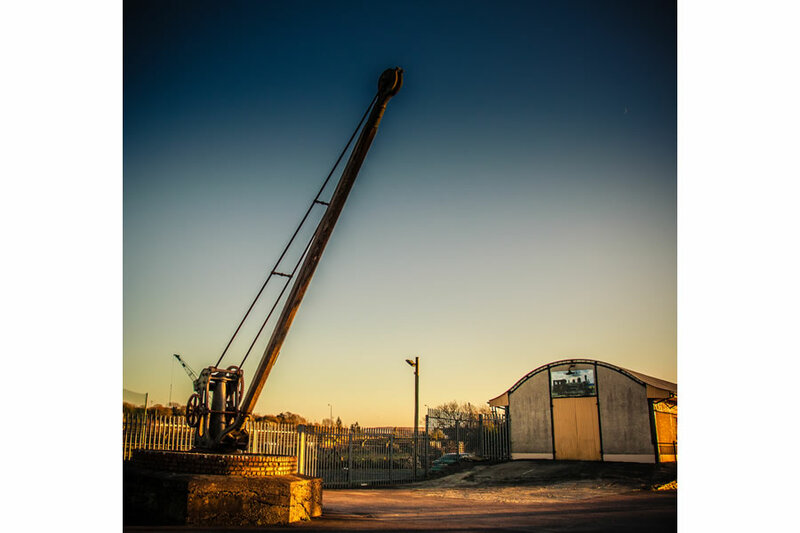 Both the location and the design of the building caused quite an amount of controversy in Skibbereen when it was under construction. 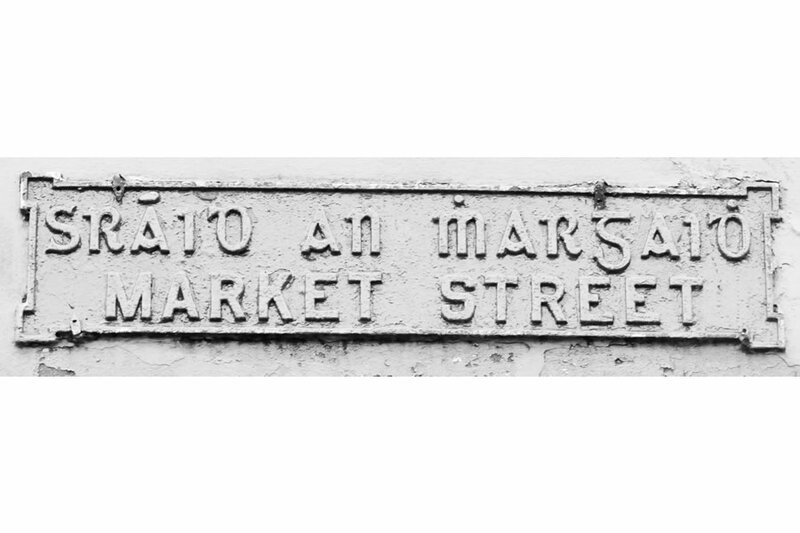 Market Street, a relatively new street constructed only in the late 1850s, got its name from the Butter Market which opened there in 1863 during one of the most prosperous periods in Irish dairying history. The Butter Market was on the site now occupied by Cara House. 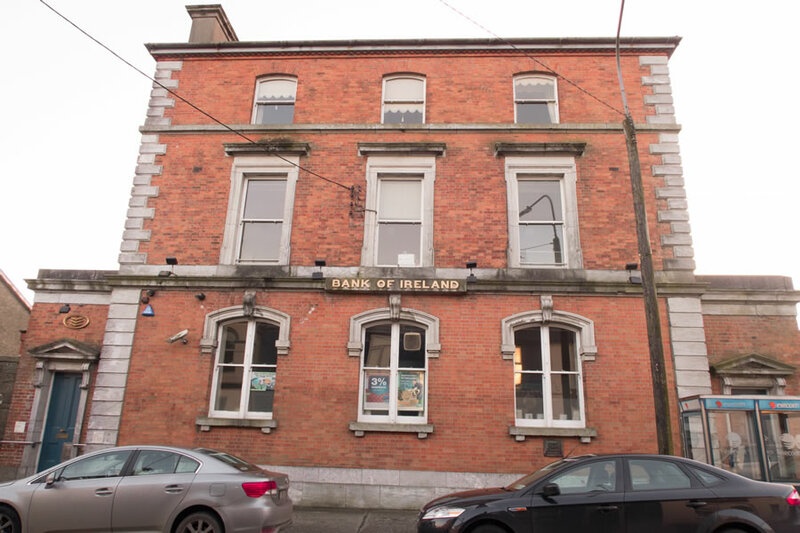 The Bank of Ireland opened in 1877. It was built using some of the stonework from the old stone bridge at Ilen Street which was being demolished at that time. 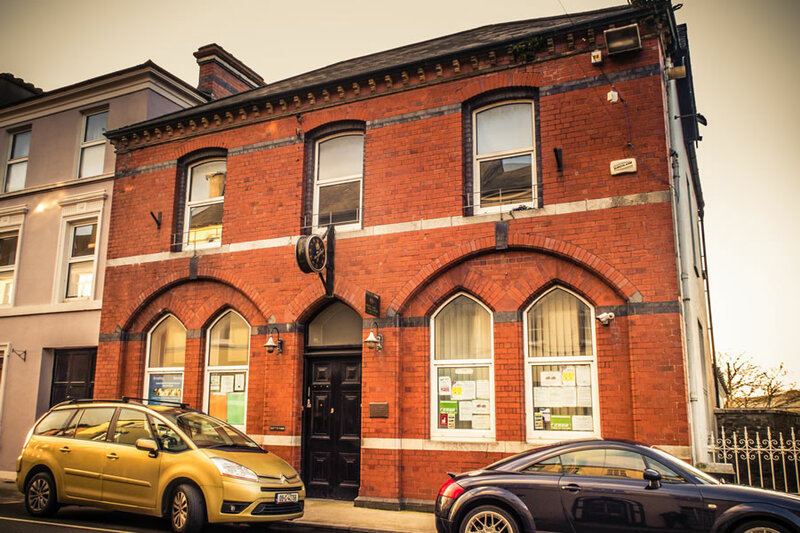 The 3-storey, 3-bay branch bank with agent’s residence was designed by Sandham Symes, the well-known Dublin architect. Symes’s nephew, Percy Swan, was the first agent at this bank. Mineral water was bottled here in the nineteenth century by Samuel Levis. Mr Levis was also a tallow chandler or candle manufacturer. 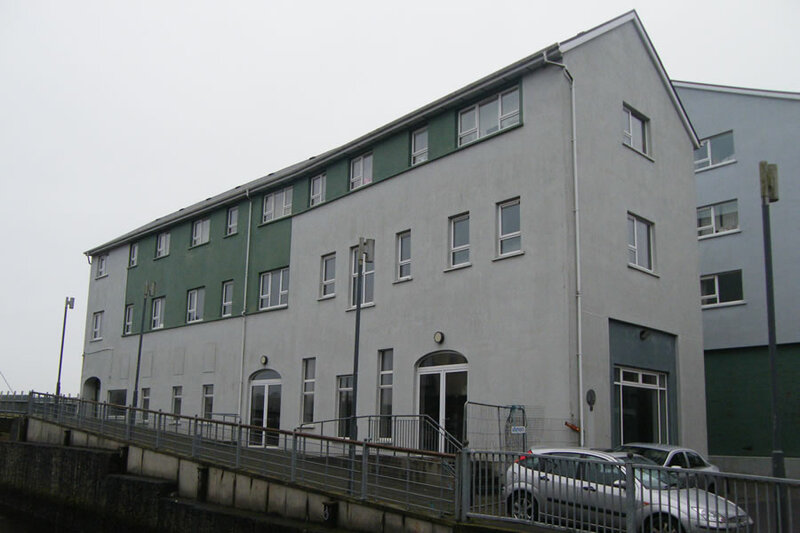 Levis’ Quay was just one of nine quays in Skibbereen, showing the commercial importance of the river Ilen to the town. There were a number of stores, a timber yard and a bonded store along this quay. It was also the location of ‘Swanton’s stores’, an auxiliary workhouse during the Famine. 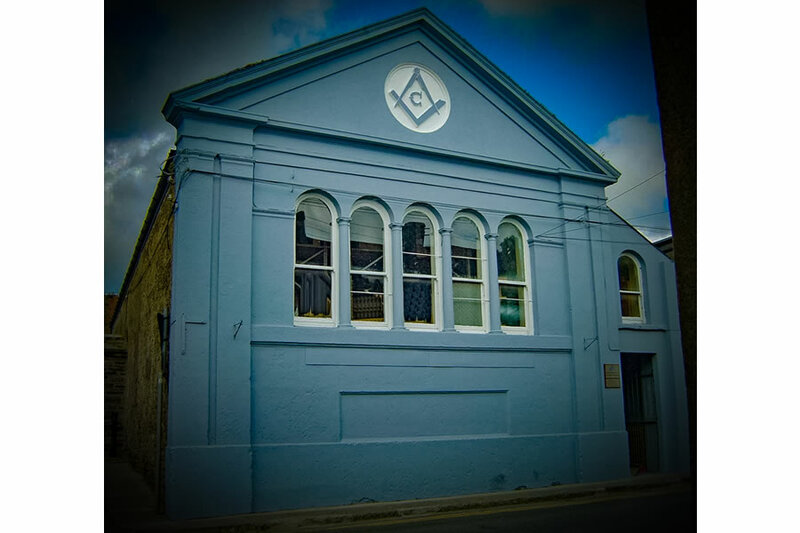 This Masonic Hall dates from 1863 but the Masons were active in Skibbereen from perhaps the mid-1700s. For many years the hall was known as The Lecture Hall and was used as an assembly hall for public events, concerts and meetings. 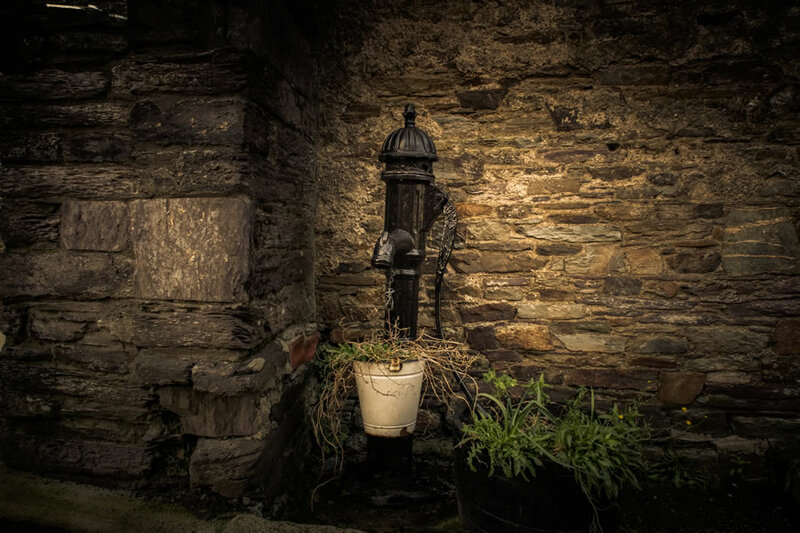 This Public Water Pump, known locally as ‘Hennessy’s pump’, remains here because the residents of Mardyke Street petitioned the local council not to remove it in 1930. 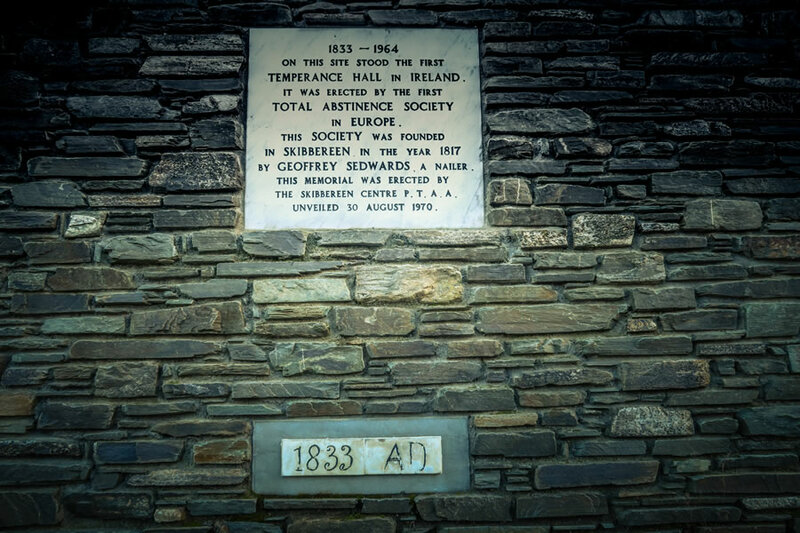 The Skibbereen Temperance Society was founded in 1817, the first such society in Europe. Advocating abstinence from drinking alcohol, which was seen as a huge problem in Ireland at that time, it opened a Temperance Hall here in 1833. Unfortunately, the original hall was destroyed by fire in 1854 and a new temperance hall and reading room were opened on the site in 1863. This was a nineteenth century Customs House. Smuggling was widespread along the coast at that time – a report from 1822 tells us that tobacco was being smuggled by men with ‘arms, guns, swords and blunderbusses’. 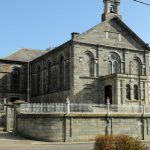 This is the site of one of the three nineteenth century Methodist churches in Skibbereen. This building dates from 1833 but was extensively refurbished after a fire in 2006. The original Manse was the building to the right of the church in Bridge Street and behind that there was a school on the ground floor and a badminton court on the first floor. 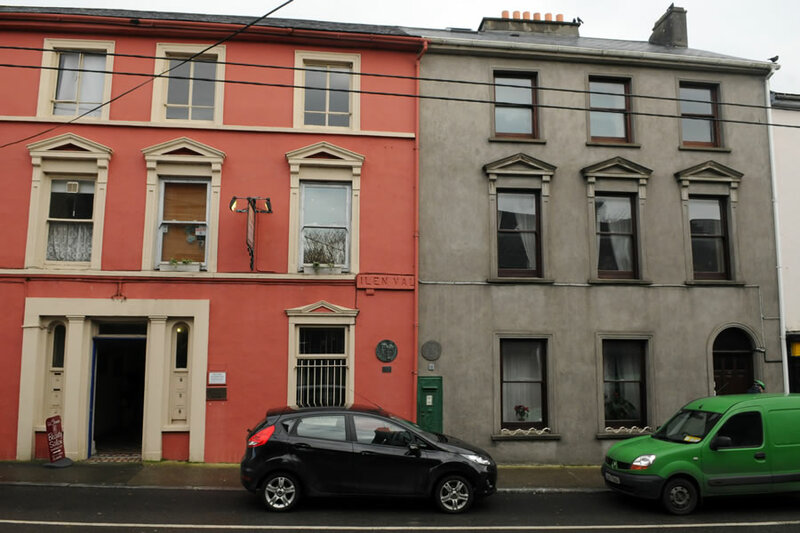 The astronomer Agnes Mary Clerke was born here in 1842, the second of three children. In a house filled with books on history, literature and science, Agnes was home-schooled by her mother and father. Agnes developed a great love of astronomy and in 1885, after seven years research, she published ‘A Popular History of Astronomy during the Nineteenth Century’. It became a landmark reference book. Agnes Clerke has a crater on the moon named in her honour. Her sister Ellen was also a renowned author. 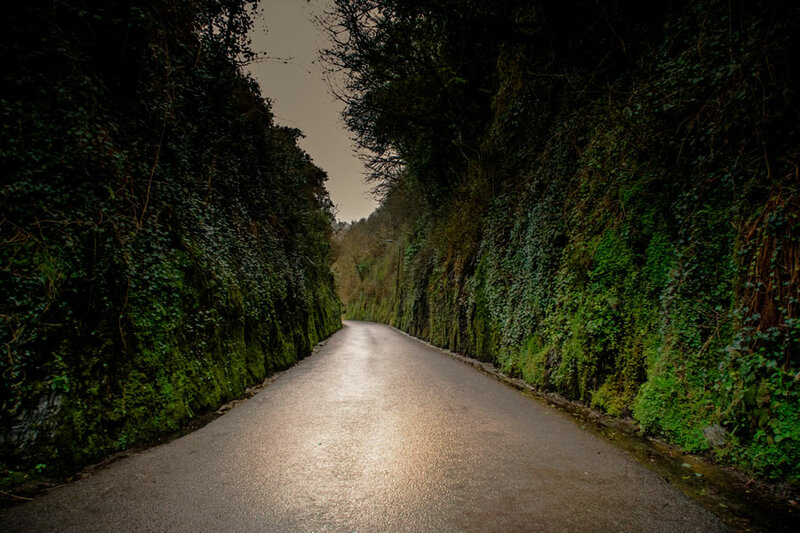 ‘The Cutting’, as it is known locally, was made to enable the extension of the Cork, Bandon and South Coast Railway onwards to Baltimore. It opened in 1893. 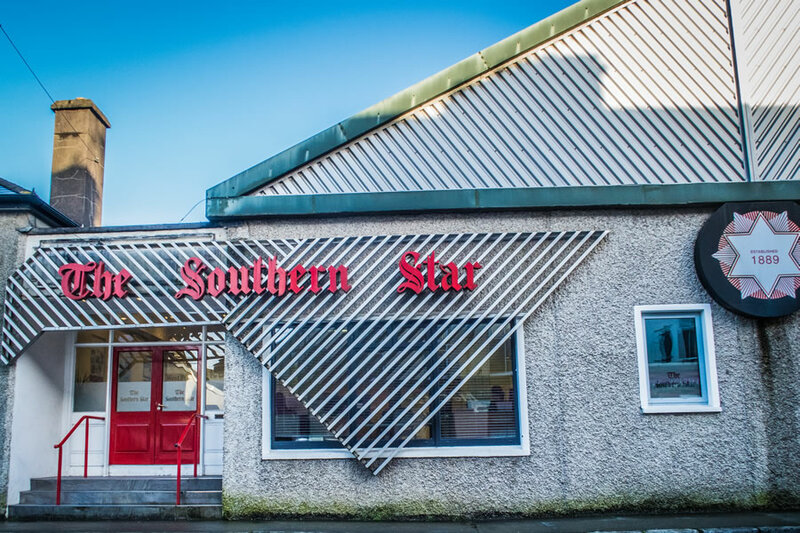 ‘The Southern Star’ newspaper was founded in 1889 by brothers John and Florence O’Sullivan. It was a strong Nationalist newspaper established to counter its rival the imperialist ‘Skibbereen Eagle’. Originally situated in Townshend Street, it moved to this site in the early 1930s. 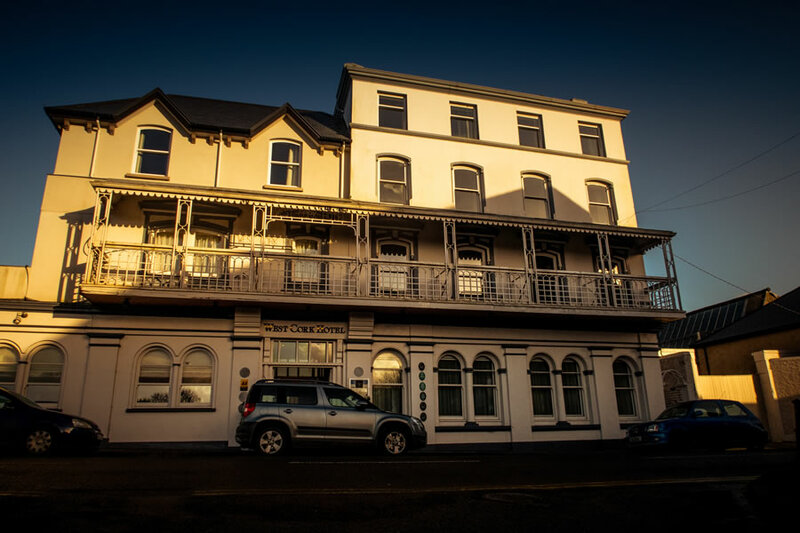 West Cork Hotel (since 1902). 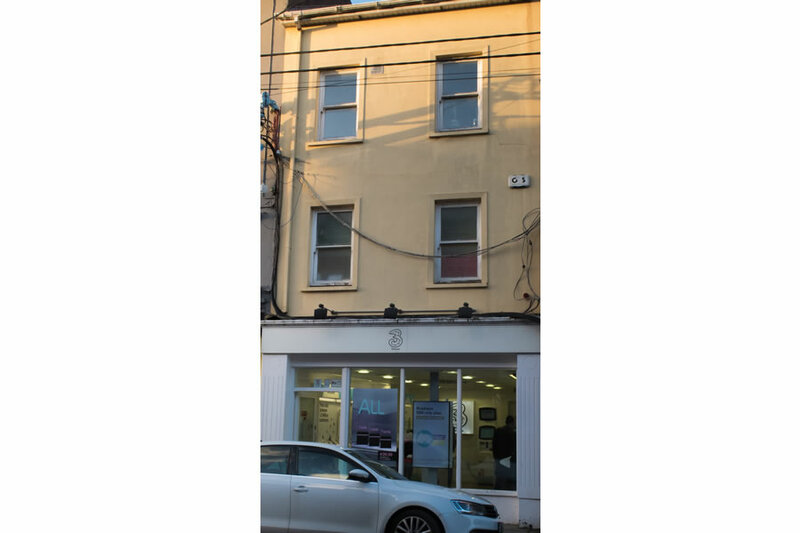 On this site stood an osiery or twig plantation which once supplied the basket makers of Skibbereen. The single span, lattice-girder Railway Bridge was built as to enable the extension of the Cork, Bandon and South Coast Railway onwards to Baltimore, which opened in 1893. The Kennedy Bridge replaced old Metal Bridge dating from 1877. It opened in 1964 and was named in honour of John Fitzgerald Kennedy. Old Railway Station – the first train arrived here on July 21st 1877 and the station closed in 1961. This was also the terminus for the Schull & Skibbereen Light Railway (Tram) which ran from 1886 to 1947.